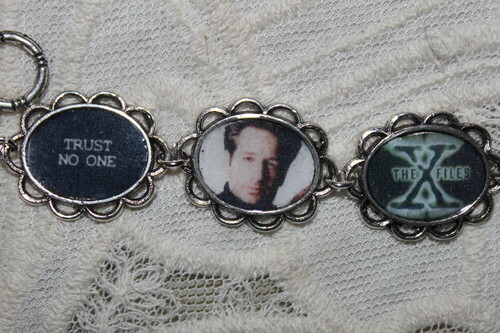 THE X-FILES charm bracelet. My hand-made jewelry, including this X-Files bracelet, is available at www.bonanza.com/booths/anitasthings. HD Wallpaper and background images in the The X-Files club tagged: dana scully fox mulder gillian anderson david duchovny jewelry pictures photos motto i want to believe trust no one.